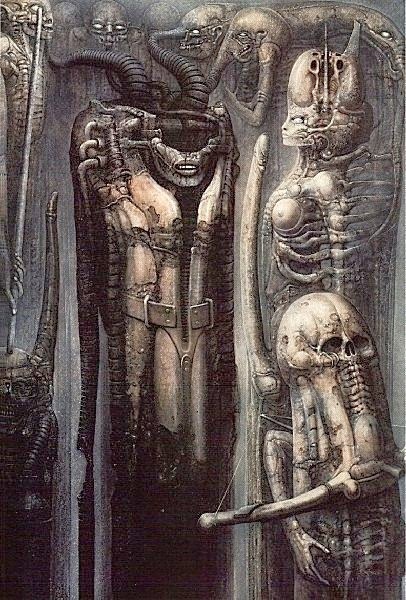 Alien Explorations: HR Giger's Biomechanoid III, 1974, memories of the Egyptian mummy at the Rätisches Museum of Chur? the Rätisches Museum of Chur? his elder sister Iris took him to see the mummy at the Rätisches Museum in Chur. The mummy was down in the basement with the amputated hands and feet that they kept there, he was very afraid but Iris laughed at him. This so hurt his childish pride that every Sunday he would go to see the mummy before closing time and stand in front of the mummy. He saw it as beautiful and imagined it to be a princess and her sarcophagus. 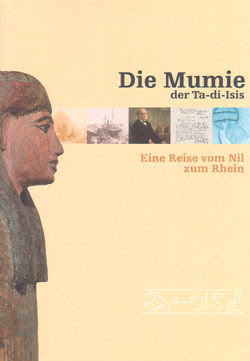 The mummy that they had there was Ta-di-Isis, a woman who was found to have died approximately middle aged, dated back to the 26th Dynasty ( around 650 BC) and came from Thebes-West and her mummified body that is known to reside in the Rhaetian Museum of Chur today. 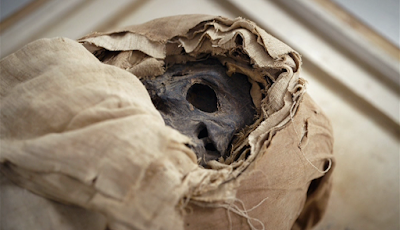 The Ta-di-Isis mummy as seen in the documentary "Dark Star: HR Gigers Welt"
Giger noted that she had an old smell and it fascinated him and those memories became an inspiration for him when he start to draw and use the airbrush. 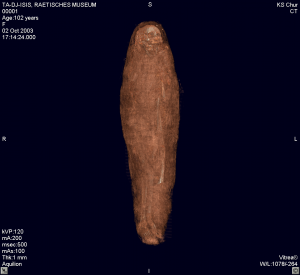 Later when he held a show in the museum of Chur, he was to present the mummy as something that inspired him. He appreciated how that in ancient Egyptian ancient, death was an important part of the culture and they would present it in the form of mummies and so on . Vincent Castiglia- - Co uważasz za źródło największej inspiracji? Vincent Castiglia--What do you think is the biggest source of inspiration? Vincent Castiglia- - - What would be your advice to artists looking for their own means of expression?